Lilit Hakobyan and Masis Arakelyan, founders of the “Giteliq” (Knowledge) Armenian school operating in Berlin since March 2018, opened the branches of the Armenian school in the cities of Greifswald and Rostock of Mecklenburg-Vorpommern in January 2019. 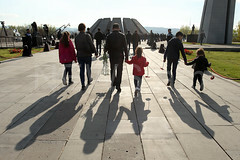 There are no Armenian unions, associations or organizations in these cities, and the local Armenians only interact by visiting each other or going to each other’s houses. Lilit and Masis are the first Armenians to open Armenian schools in the cities and consider it an exclusive phenomenon. First, they contacted the municipal authorities with the hope that the authorities would allocate an area, and soon enough, the integration affairs representative expressed support to them as a way of helping representatives of a national minority disseminate Armenian culture. “Although a year has passed since its establishment, our school in Berlin is already well-established and has a good reputation. The Armenians in the other two cities responded quickly and were excited. Of course, it is hard work, but we do it with responsibility and with the awareness of the need to provide Armenian children of Germany with an Armenian education and upbringing,” Masis Arakelyan told the “Hayern Aysor” (Armenians Today) online newspaper of the Ministry of Diaspora of Armenia. Every week, Lilit and Masis travel from Berlin to teach the children Armenian language, songs and dances. Masis Arakelyan voiced hope that their activities would be effective because, as he interacts with the children, he and Lilit realize that they have a great desire to learn Armenian and wait impatiently for the classes. Most of the children don’t even know where Armenia is on the map and know nothing about its history and culture. “We Armenians abroad are in a constant struggle to teach Armenian children Armenian. We also work as psychologists with them. There are children who cry during the lesson because they don’t know their native language. 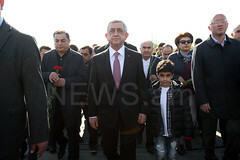 It’s hard, but we focus and continue to hold the lesson,” Lilit Hakobyan said. All the branches of the Armenian school have 70 students. In September, the school received an invitation to participate in a cultural festival and present Armenian culture along with representatives of other nations living in different cities across Germany. The school’s founders have already decided that the students of the three schools will give a concert and introduce foreigners to the national and cultural values of the Armenian people through songs and dances.